Make the decision for your fans! 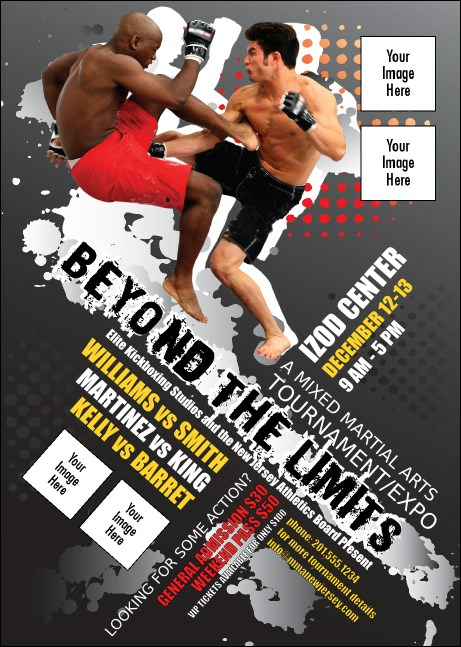 Send out MMA Frontkick Club Flyers well in advance of the fight to generate some real excitement for the big event. With room to upload four unique images on an extreme background and a picture of two fighters in combat, you’re sure to land an extra punch in your attendance. TicketPrinting.com helps keep your fans in contact!